The American Federation of Teachers (AFT) is one of the nation's most militant labor unions. 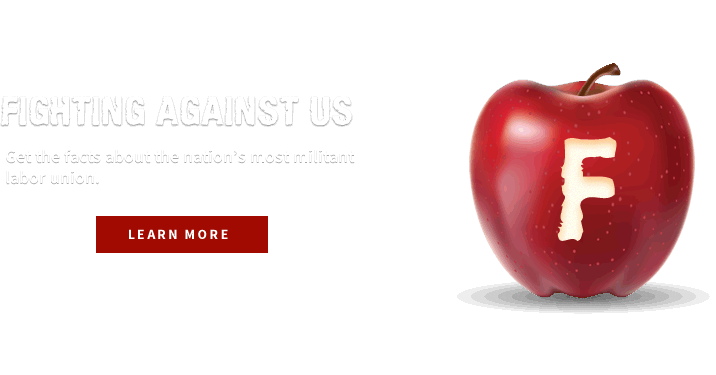 AFT's stock-in-trade is conflict, hostility, and distortion. American schools are in crisis, yet the AFT opposes the vast majority of credible education reforms aimed at fixing our failing schools. They're part of the problem, not the solution. 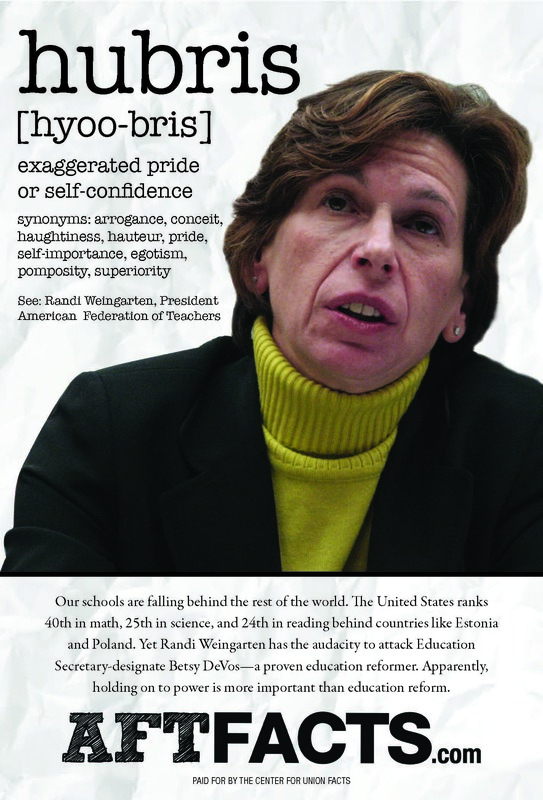 As head of the American Federation of Teachers, Randi Weingarten fights tooth and nail against reforms that would fix our failing schools. 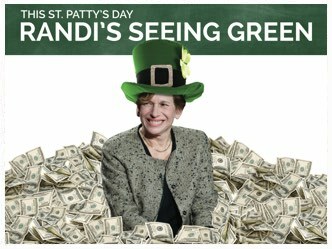 "Rubber Room" Randi is on a crusade to keep poor children stuck in subpar schools, stymie school reforms, and protect the jobs of incompetent teachers. 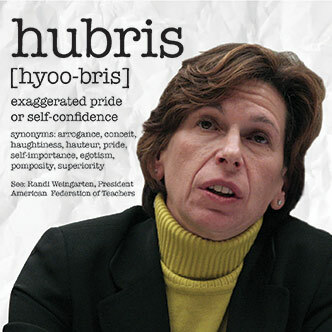 Embezzlement, forgery, and misappropriation — corrupt AFT locals threaten our childrens' educations. 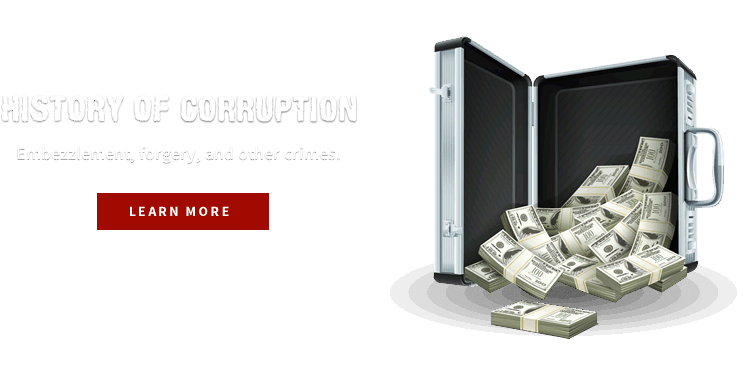 We've compiled a list of major incidents of corruption that have been committed within AFT local unions. 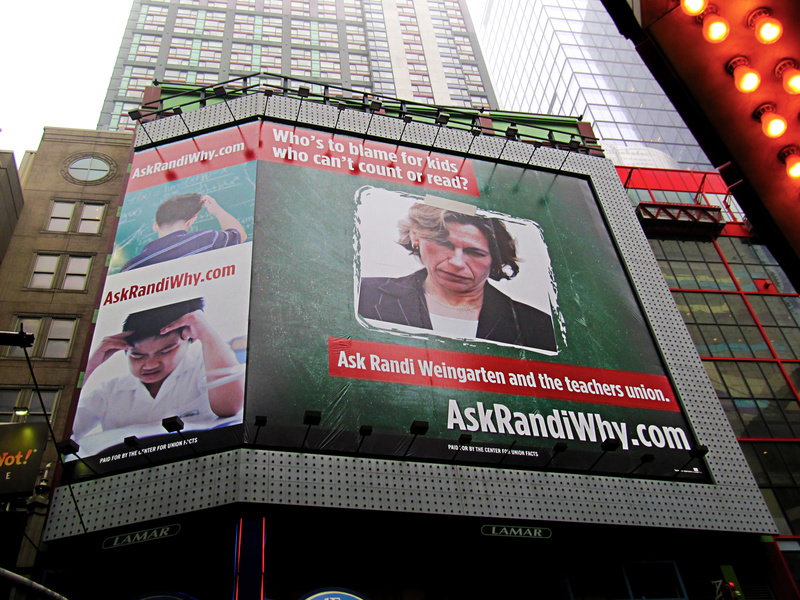 We have a secure, anonymous dropbox for any potential whistleblowers who have significant information about Randi Weingarten and the American Federation of Teachers. The advertisement below ran in the New York Post on October 31, 2014. 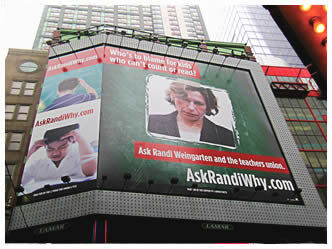 Check out our billboard in NYC’s Times Square exposing the AFT’s Randi Weingarten’s anti-reform agenda. 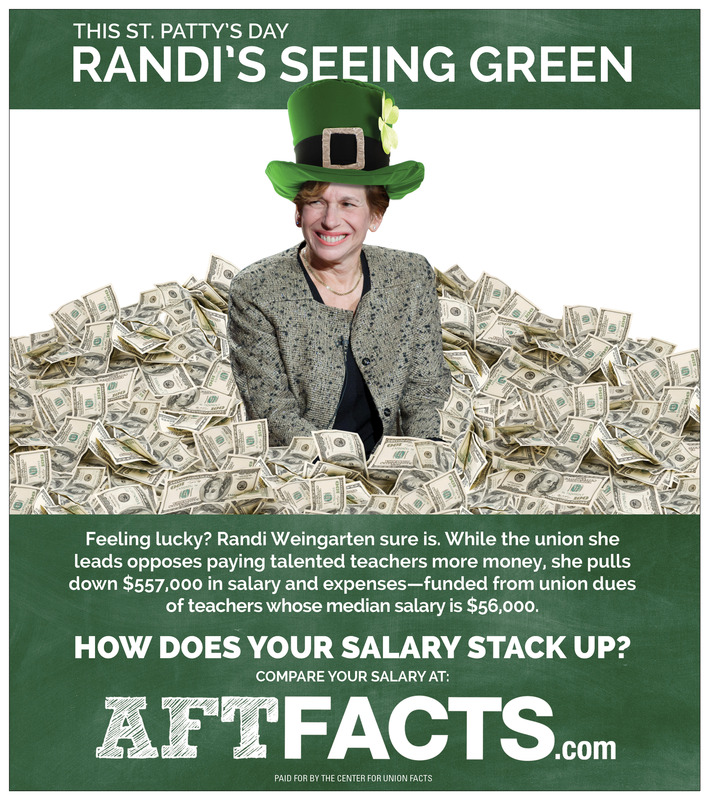 Listen to our latest radio ad about Randi and her union. I'm sorry, your browser does not support this feature. 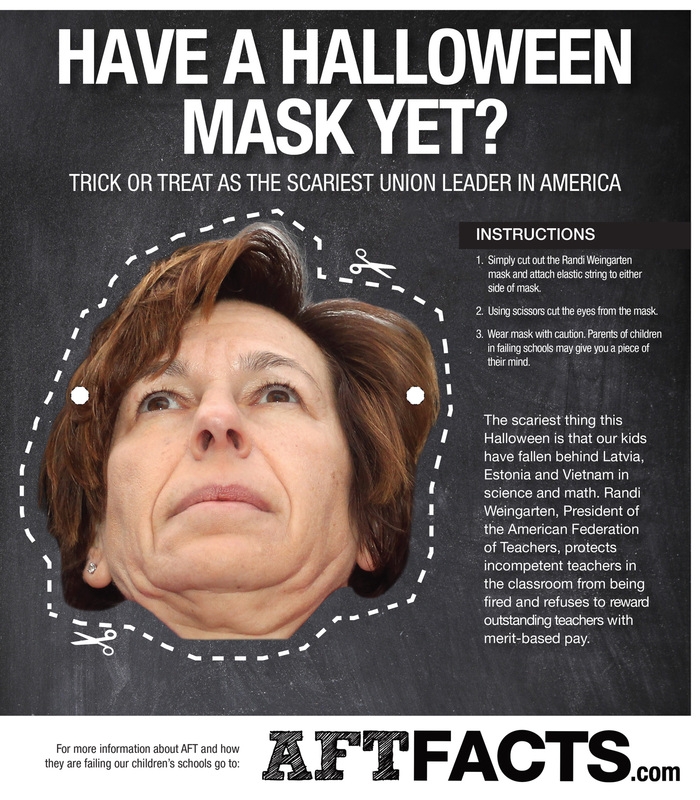 © 2019 Center for Union Facts. All rights reserved.